Also, how often do you carry out (perform, do, make... ) the RaNGE contest? There is no specific description, rule or guideline to make one or when to make one. Occasionally, someone comes up with a good idea + contest rules + judges and present it to the community. 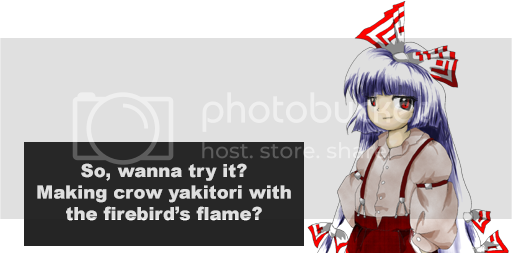 If the community shows enough attention, I will sticky it and magically call it a contest on RikaNitori. Anybody can host one. You don't need to be some famous person or expert scripter or long time forum member to host one. But I do expect serious dedication + contribution from the host. As in: prepare well. Unprepared contests are sort of troublesome. Usually there is some sort of "break" which the community takes between contests. Duration is variable. Ok it works now. Thanks. As Helepolis said above, there are no specific guidelines for when to make one. I have a list of former contests here. If you set the query box to the third option, it will generate a timeline of contests. Generally speaking, the trend is for there to be a few months in between contests. Some contests are also more complex than others (i.e. RaNGE 16 was much more complex than RaNGE 3, which was a single spell card). Regarding advance planning, spontaneous contests tend to go poorly, especially when the host does not have a good grasp of all of the rules and guidelines beforehand. For example, for the next LOCAA Contest, AJS spent at least a few weeks preparing the rules and details of the contest, and he planned it more than a month in advance so that the timing would be appropriate. A lot of thought goes into the more successful contests. 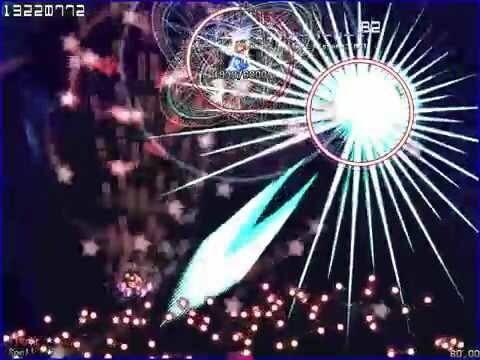 And last thing, how can I make the effect that appears when Alice make appear familiars/bullets in Last Boss Rush. Those stars that are moving randomly on the left of the image, that´s the effect that I want. I started doing it and then noticed that the header is different from my EX-Rumia's; also when I tried to play it it wouldn't let me use my character. That tutorial won't work if you're using ph3. I recommend you to look inside other script players and learn how do they work. I believe that there aren't player script ph3 tutorials actually. You are correct. That tutorial is for 0.12m. And yes, there are no player script tutorials in existence that I know of. If someone writes one that will change, of course. But for now, nobody has written one due to the sheer scale and difficulty of the task. I`ve found the effect by my own ways It is confusing when you look at it, but it is, in fact, "easier". How do I know the time an object spends if the object is moved by the function ObjMove_SetDestAtWeight ? Because it does not spend the exact amount of time I want. You can always use a counter to.... well, "count" how many frames a boss spends when it's not stationary. You can display that number with a text object or with the WriteLog function. Alternatively you can always create your own smooth movement function that uses ObjMove_SetPosition manually. Hello again! I have two questions, regarding the spell card bonus counter. 2. For some reason, I can't get "Failed" to show up when the player bombs or misses. Any reasons why? You might be wanting to do something like this instead. It checks for whether the player died or bombed during the while, which I think you were trying to do with bool. Wow, thank you! It works perfectly! Since some time, whenever I edit an external file (e.g. for effects) that I include into my main script, there is always this Unable to be interpreted-error showing up, not pointing out any specific mistake but always the first line with this ・ｿ-thingy appearing before the code begins. This also happens to the main scripts. although more rarely. Could this be possible because of mistakes somewhere deeper in the code, or is this some kind of a bug? Unable to be interpreted (Don't forget ";"s). This might be the UTF-8 byte order mark. If your editor supports it, save the file without it. Welp, didn't think that encoding was a thing here. Maybe that was because I used a different editor for hasty edits and it perhaps saved the files with a different encoding by default than Notepad++ (which I use mostly, with c# syntax highlighting). Saved the affected files with Unicode format, the script works (again). Thanks! Even if ph3 doesn't requires Locale setting to show Japanese characters, unicode for your script files is still in effect. You will get a lot of headache when you're using Japanese chars or anything else and not saving your files supporting the correct Unicode. Anything should I do to fix this? We don't have enough information to analyse this. Can you post like your boss code in pastebin? And does the same happen with the default Rumia player? If it's a snippet, post code with code tags, or use pastebin for entire scripts. So what is actually the problem with that player script. You made me curious Talos. Hi guys, how do i create "wings" with bullets, like in Glorious and Huge Singer's nonspells? Also how can I shoot bullets out of the wings? Shoot bullets outward at some variable angle a, and alternate increasing and decreasing a to make it wave. Add more bullet lines and offset them from a for more layers. 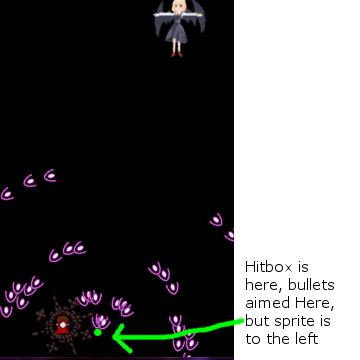 You can't reasonably shoot bullets out of the wings; you would normally just use spawn positions that appear to be in the same area. I was following Helepolis's new custom player tutorial an I ran into a weird problem, my character's sprite is ~28 pixels to the left of where it should be. I followed the code as closely as I could, only modifying file names and draw rects where appropriate. Angle defaults to 0, Scale defaults to 1, Blend type defaults to Blend_Alpha, Alpha defaults to 255, and the player object and the graphic are actually the same object - the player graphic moves automatically with the player (someone please correct me if I am wrong). As for the error, I believe it has to do with your usage of Obj_SetRenderPriority(playerObj, 31);. Render priorities go from 0.0 to 1.0. If you want to use the 0-100 scale, you must use Obj_SetRenderPriorityI instead of Obj_SetRenderPriority. As for why it displays ~ 28 pixels to the left, using 31 (out of a 0.0-1.0 scale) is above the 0.80 playing field boundary, so your player is being rendered with respect to the top left of the window rather than the top left of the playing field. Thanks Sparen, that was it, the missing 'I'. As for the unnecessary code, I assume Helepolis was just being thorough, later in the Tutorial he implements a practical use for some of the other functions (viz. SetAlpha). Hey uhh, How do I implement Extends? I bet It's really simple and I'm just going to annoy someone with that question.